Bigger salaries, on the opportunities abroad, companies from around the world to choose from, and in some cases, lesser working hours! Employees of IT companies in India couldn’t have really had it better over the last few years. But what about the entrepreneurs? They are, after all, a breed that many believe our country could do with more of. Have entrepreneurs been given enough support in this Indian tech-boom? While in Canada, techie Vijay Anand asked himself the same question, which eventually brought him back to India in search of answers. Keeping this in mind, Vijay came up with the idea of organizing an event, and together with Kiruba Shankar (the man behind Chennai’s blog camp!) and various other tech-enthusiasts, formed an informal organizing committee naming itself The Knowledge Foundation. 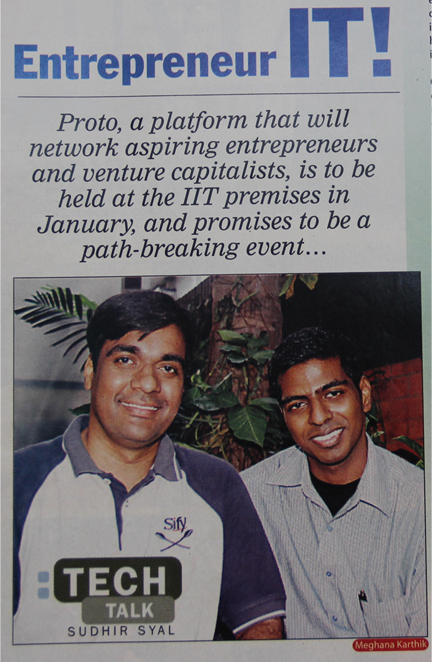 Proto, India’s first event, which planned to bring together venture capitalists and entrepreneurially-inclined technologists was conceived. 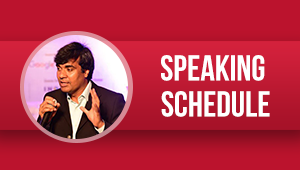 With a host of celebrated guests from the world of technology(including Sabir Bhatia and Googler Marisa Meyer) expected to speak at the two-day event, and a total of close to one billion dollars up for funding from the venture capitalists in total, the event is all set to attract more than its share of excitement. Vijay Anand has goals clearly set – “Our goal is to set 28 of the 30 ideas funded within the next six months.” Ambitious as it may seem, given the drive and the interest shown by all those participating, one might well see it becoming a reality!